Several famous costumes will be on display for one night only. Many of us grew up in, or at least are familiar with, towns that lack a full-time costume shop. They might get a seasonal pop-up shop but if you need a witch's dress, day of, in the middle of May? You might be out of luck (or you need to know a good seamstress or tailor). But then you have Los Angeles, where costuming is big business. Our city can and does supports multiple costume stores all year long, for both professionals and people who just like to dress up. And there's no need to pause and scratch the chin on the reason why; the industry is definitely to thank. Western Costume Co. certainly sits at the top of that rack. It has been around for over a century -- so, basically the whole time movies have been made in LA -- and the North Hollywood outfit is now home to oodles of outfits that are so outrageously famous you hardly need say the movie they're from. Some of those -- including a certain velvety green dress made from curtains -- will be on display for one night only when Western Costume visits LACMA. The date is Wednesday, June 20, and the company will be packing up 42 of its celebrated sartorial creations and making for Wilshire Boulevard. 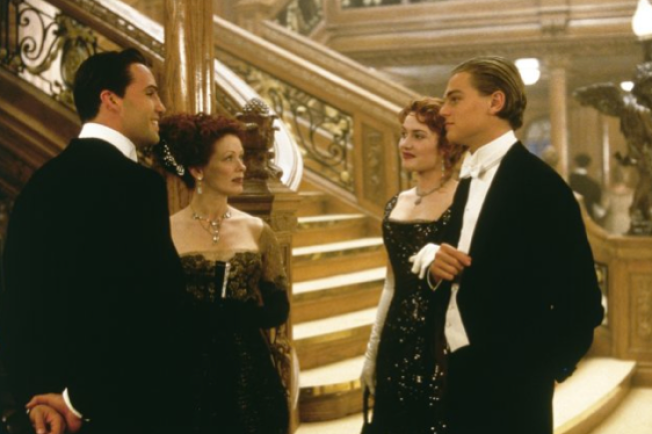 Movies represented in an elegant costume pageant will be "Titanic and "The Artist," as well as several more. Several costume honchos and experts will also speak during the evening, and cocktails will be served after the event, promising more hobnobbing (we're quite sure all of the precious costumes will be packed away by that point, insuring there are no spills). A general ticket is $45. What costume would you see in person if you could? Well, we'd probably elect, like many fans, to eyeball the dress Scarlett O'Hara famously swanned about in in "Gone With the Wind." Oh, wait one second; that just happens to be the green dress we referenced before. If you want to see the iconic gown live, be sure to swan over to LACMA on the 20th.